More than 100 rights groups urged Bahrain Wednesday to "immediately release" high-profile activist Nabeel Rajab who is serving two separate jail sentences for alleged anti-government statements. The call by 127 non-governmental organisations came after the United Nations denounced the Shiite opposition leader's detention as "arbitrary" and "discriminatory" earlier this month. Wednesday's signatories including Human Rights Watch said they "welcome this landmark opinion... recognising the role played by human rights defenders in society and the need to protect them". 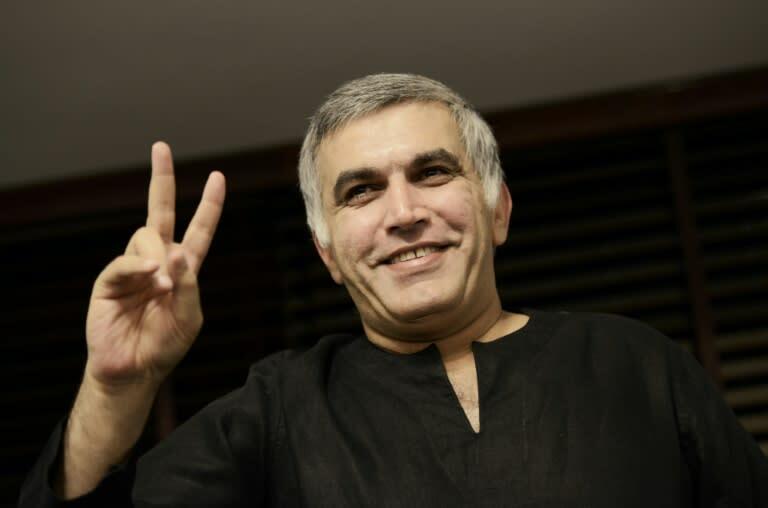 "We call upon the Bahraini Government to immediately release Nabeel Rajab in accordance with this latest request," the NGOs said in a statement. Rajab -- a key figure in 2011 protests against Bahrain's Sunni minority monarchy -- was sentenced in February to five more years behind bars over tweets critical of the Saudi-led intervention in Yemen. The charges also relate to statements denouncing the alleged mistreatment of prisoners at the notorious Jaw prison, south of Bahrain's capital Manama. The 53-year-old, who co-founded the Bahrain Center for Human Rights, is already serving a two-year sentence handed down last July for "disseminating rumours and false information" in television interviews critical of the government. In its August 13 report,the UN's Working Group on Arbitrary Detention had also called for Rajab's immediate release and said he should be "an enforceable right to compensation and other reparations, in accordance with international law". Sunni-ruled Bahrain has been rocked by sporadic unrest since 2011, when a wave of popular protests demanding an elected government erupted in the majority-Shiite kingdom. Authorities have cracked down on political dissent since then, and many leading political activists are in exile or behind bars. Access to foreign journalists is also largely off-limits.